Ayatul Kursi is the Verse of Surah Al-Baqarah. The largest Surah of Quran Majeed is Surah Al-Baqarah. In addition, the verse number 255 of Surah Al-Baqarah is Ayat-al-Kursi. Indeed, Ayatul Kursi is the leader of this leader Surah of the Holy Quran. In this verse, Allah has defined his powers and glory. There is no one but only Allah who is the creator of everything we see in this world. Why is this verse too much important? 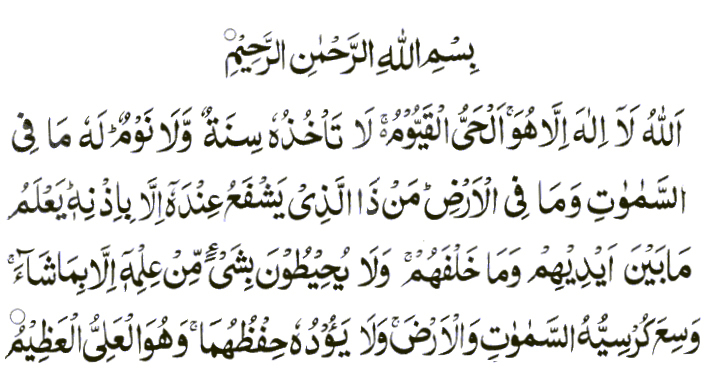 Below is the Ayatul Kursi Arabic text, the transliteration, and the English translation. Allahu la ilaha illa Huwa, Al-Haiyul-Qaiyum La ta’khudhuhu sinatun wa la nawm, lahu ma fis-samawati wa ma fil-‘ard Man dhal-ladhi yashfa’u ‘indahu illa bi-idhnihi Ya’lamu ma baina aidihim wa ma khalfahum, wa la yuhituna bi shai’im-min ‘ilmihi illa bima sha’a Wasi’a kursiyuhus-samawati wal ard, wa la ya’uduhu hifdhuhuma Wa Huwal ‘Aliyul-Adheem. Here, I am going to reveal the powers of Ayat ul-Kursi according to Hadith. 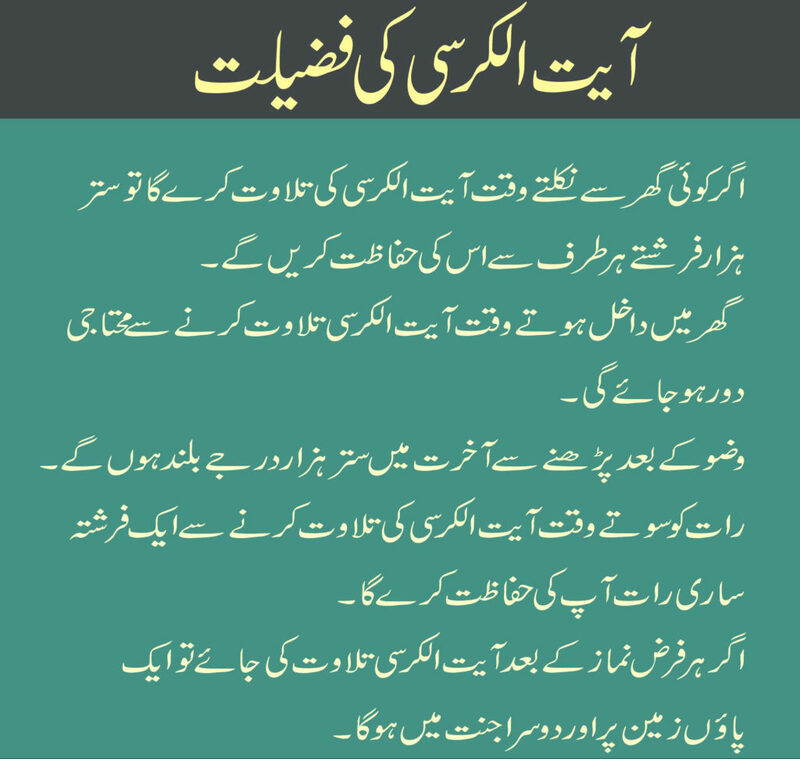 Hazrat Ali (R.A) says that the chief of the Ayats of the Quran Kareem is Ayatul Kursi. Abu Hurairah (R.A) Narrated: In Surah Al-Baqarah there is an ayah which is the best of all the ayahs of the Quran. It is never recited in a house but the Satan leaves: Ayatal Kursi. From the hadith above, it is clear that recitation of this verse of Holy Quran keeps us protected from Satan who is our worst enemy. Every Muslim must learn this verse to seek the protection of Allah and to defeat the Satan. Recitation of this verse in the morning will keep you under the protection of Allah till night. Also, recitation of this verse will keep your family as well as wealth safe from Satan. The recitation of this verse is very advantageous if you have a weak memory. To increase your memory, do recite this leading verse. Recite this verse for your loved ones who have died. It will be a source of light for them in the dark graves. To keep you safe from the pain of death, you must recite this powerful verse regularly. Its recitation will ease the pain of death and will make your death easy. Always recite this verse when you are leaving for outside. Its recitation will keep you under the protection of angels. The person who recite Ayatul Kursi when you go to bed to be under the protection of Allah when you are sleeping. And one who recite this verse before sleeping Allah will protect not only him/her, but also his neighbor’s home from devil. If you are uneasy and feel any kind of fear, recite this verse. It will take off all of your fears and you will feel calm. Its recitation after a prayer will become a source of acceptance of your prayer. With this in mind, Make a habit of reciting Ayatul Kursi verse after every prayer. And one who recites Ayat ul Kursi 4 times will get the reward of reading one Quran-E-Pak. Recite this verse while leaving home, And 70,000 Angles will protect you. If someone recite Ayat-al-Kursi on entering home, then poverty won’t enter that home. One who recite this verse after Wudu, it raises him 70 times in Allah’s rank. One who recite after obligation Salah and the only thing that is separating you from paradise is Death. And one who recite this verse daily will surely enter into heaven. Who recite it daily basis will remain protected from devil and his mischief’s. And if anyone who is indigent, recite Ayat ul-Kursi, Within some days his indigence and poverty will go away. For the protection of house from theft, hang the inscription of Ayatul Kursi at the high place of home. It will also increase and beatitudes the income. And if any house is affected by jinnat, then to remove the effect of them, recite Ayatul Kursi 4 thousand and 1 hundred time for 40 days, jinnat will leave that place with the beatitude of Ayat ul-Kursi. Finally, this is the end of discussion about Ayatul Kursi and its benefits. The verse has too many other benefits too. Our Holy Prophet (Peace Be Upon Him) has also described the importance of this verse. So, Recite it daily and seek refuge from Allah only. 1) What is the meaning of Ayatul Kursiyu? 2) What does Allah use His Throne for? 4) How many times is a Muslim on joined to recite the Ayatul Kursiyu? You can recite this Verse of Quran as many time as you can. and your 3rd question is false. Give him Surah Yasin Water daily. Inshallah Allah bless him. Allahhummaghfirli walewaledyya walilmumineena wal muminaate wal muslimeena wal muslimaate recite 27 times daily and become mujeebutdaawaat.according to hadees of our beloved prophet s.a.w. sis mubeena tecite surah alamnashrah mostly for your son. AsSalamOAlaikum. Kindly provide references for the merits of Ayat Al-Kursi mentioned above. Sharing a single wrong hadith can take us to the Hell. Some of the merits mentioned are from Bukhari and Nasaai. 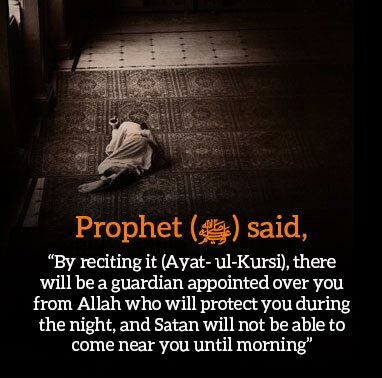 There is hundreds of benefits for recite ayatul kursi. Allah Bless you and Inshallah your every wish will be fulfill by the grace of Allah. Allahhummaghfirli walewaledyya walilmumineena wal muminaate wal muslimeena wal muslimaate recite 27 times daily and become mujeebutdaawaat.according to hadees of our beloved prophet s.a.w. May Allah bless you all . Can u share something which I can pray for rizq since I have my own business n also my husband is looking out for a good job with a better pay package what can he pray to get a good job. Recite Surah Waqia daily after Maghrib prayer for Rizq. 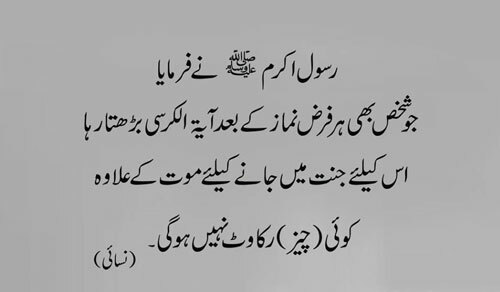 Most powerful wazifa for Rizq. Recite Surah Waqia daily after maghrib prayer. Inshallah! everything will be fine by the grace of Allah. I want your help regarding my family issue my mother in law is not ready to let us stay in the house we have been put up on a rented apartment,it’s bcoz of my sis in laws my younger sis in law she is 40 doesn’t want to get married n the elder one divorced her husband n is staying here with my in laws along with her daughter.My mother in law has 3 flats but she is not ready to allow us to stay in any of these flats, our money is getting wasted staying in a rented apartment can u please suggest something which I can pray so my mom in law gives us any of the one house to stay.she is very rigid n stubborn lady.